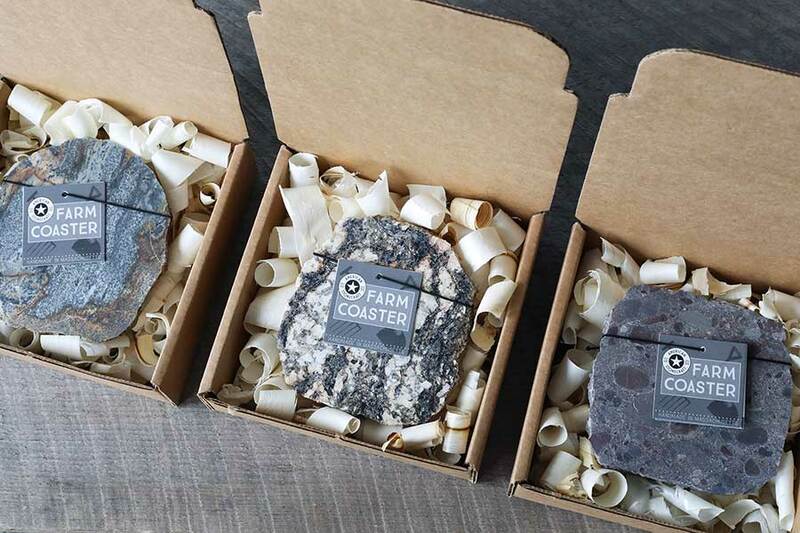 Using the rock or rocks of your choice, American Stonecraft will custom craft Coasters, Food Slabs, Trivets, Bowls, or even Tile especially for you! Begin your order with payment of the Custom Sourcing Part 1 in our Web Shop. All Custom Sourced orders involve a 2-stage payment process: the initial Custom Fee, and the cost of your finished piece(s). Decide what rock(s) you want to use, and what products you’d like us to make. 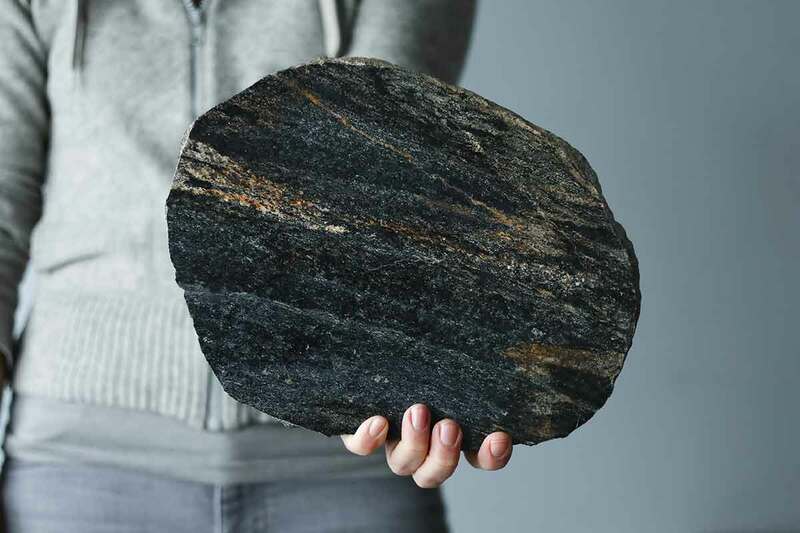 Email [email protected] with photos so we can see if the rock(s) you’ve selected will be a good match for your chosen products. 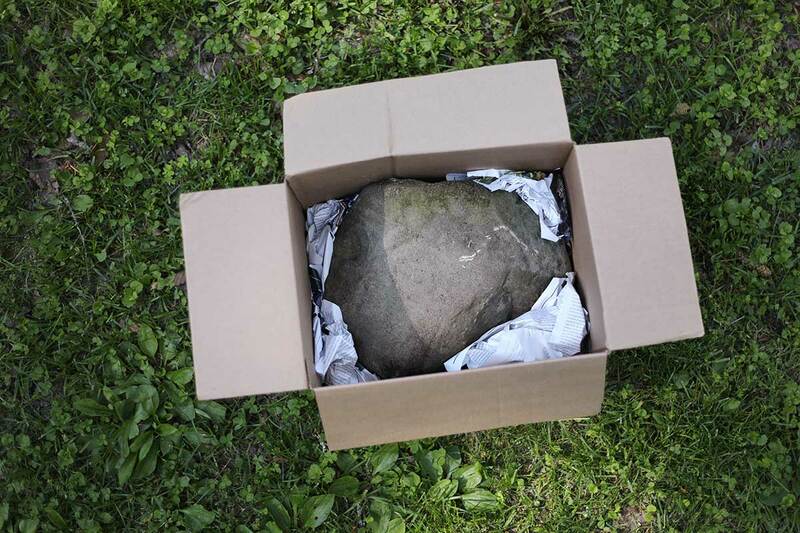 We’ll send you a special box that includes a UPS shipping label for your raw stone. You can drop this off at any UPS Store or at our location in Lowell or Boston. For large-scale orders we will arrange for pallet shipping. 4. We’ll Take it From there! Expect us to be in touch often along the way while we work to transform your stone. 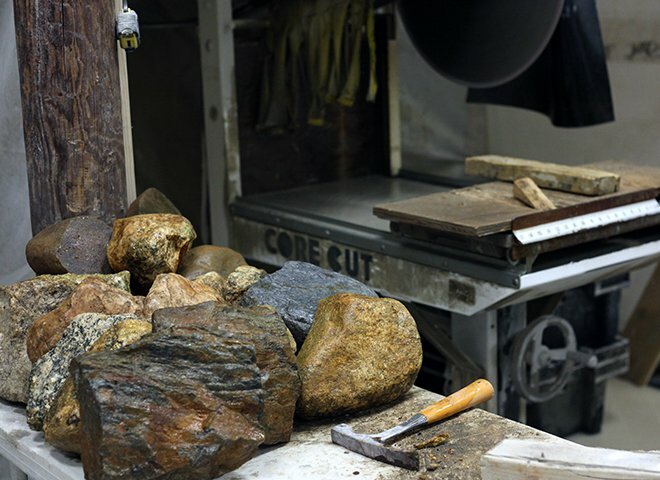 Once your rock has been inspected, cut, and measured, we’ll let you know the specific possibilities for your custom pieces. 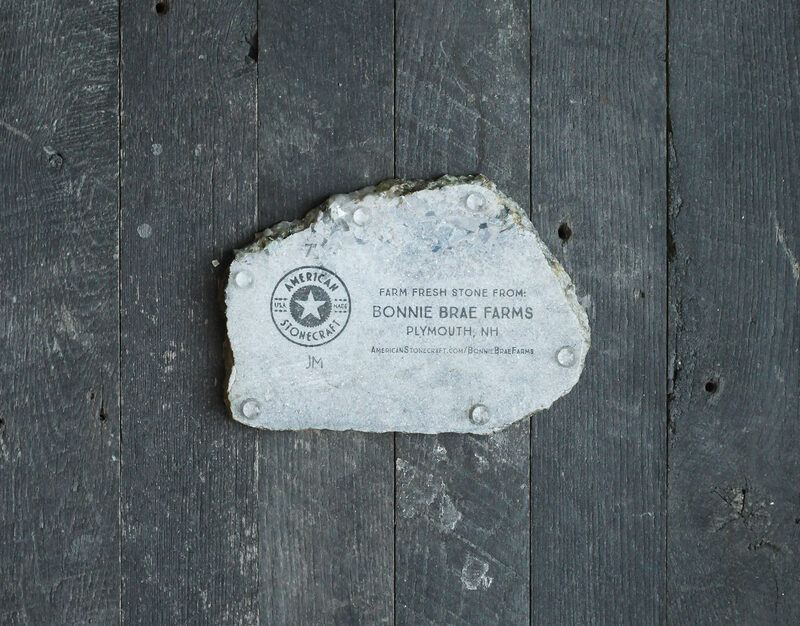 Once you’ve decided on your final pieces, your stone is handcrafted and finished with a custom inscription of your choice on the underside. The final payment can now be calculated based on the size and type of item(s) made. We will be in touch for payment of the finished items. Once received, we’ll ship your custom pieces directly to you. Your initial fee covers all shipping. Every place tells a story. 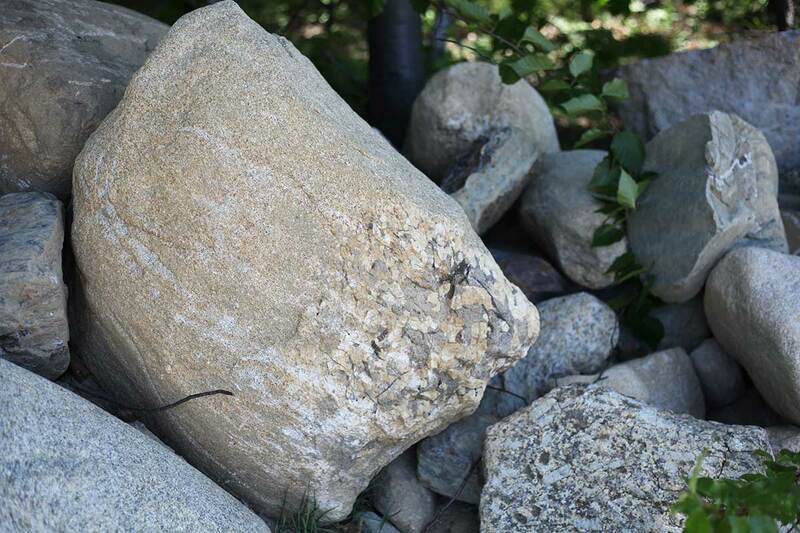 With our Custom Sourcing program, we start with stones that are special to you; from your own land, from a place you’ve known for years, or from a new place that is close to your heart. The choice is yours.